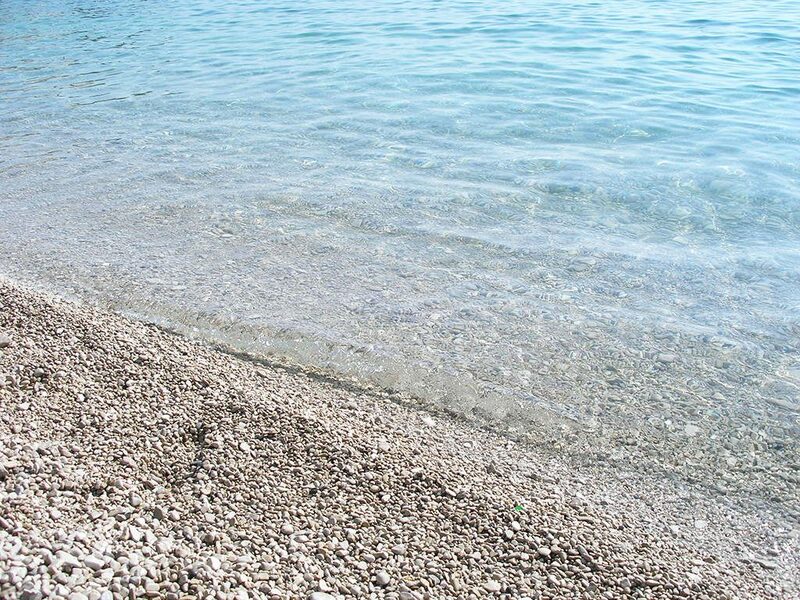 Mošćenička Draga is a small small mediterranean fishing town on the east coast of Istria with beautiful 1,5 km long pebble beach and preserved nature. 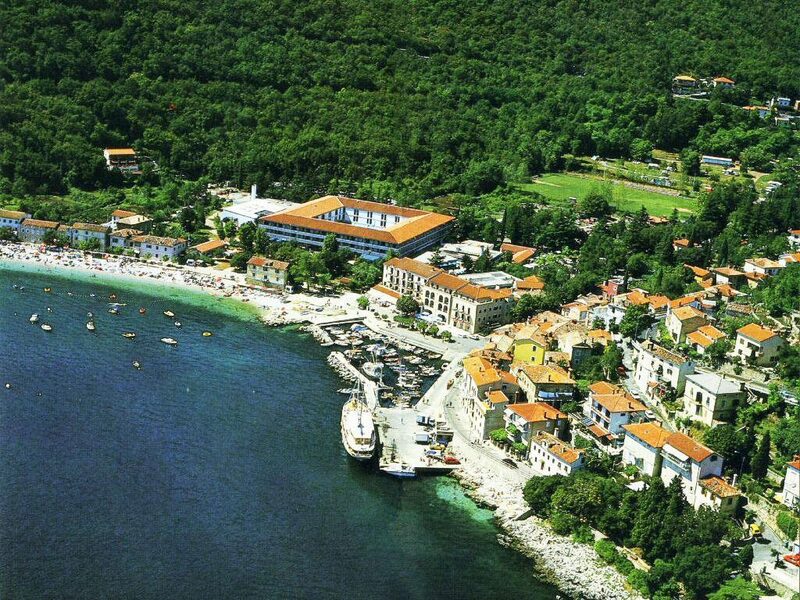 Together with Opatija and Lovran it creates the wellknown Opatija riviera. Place was originally named after a cove it is situated in. The old part of town includes houses built just above the rocks and haven, and partially along the beach and coastal path which is about a thousand meters long. Mošćenička Draga managed to avoid overbuilding. That way it was possible to preserve the genuine beauty of the nature, and rare charm of the peaceful seaside resort. 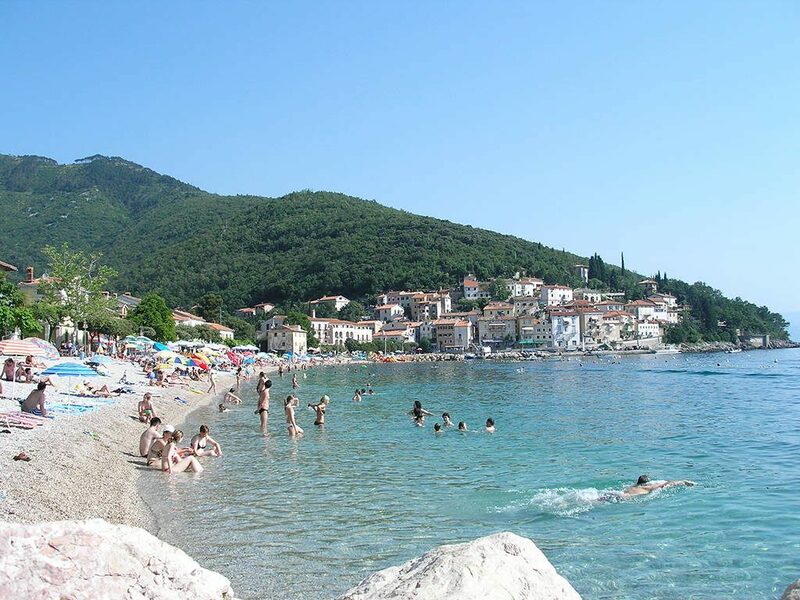 Together with the surrounding villages, Mošćenička Draga has about 2000 inhabitants and even more in the summer when tourists arrive. Fishing and agriculture used to be the main preocupations of the local people. At the beginning of the century, tourism started to develope, and gradually took over to have the most important role in the economy of the place today. 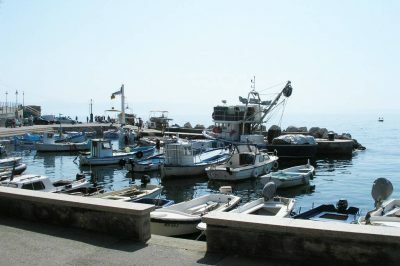 The center of the place is the square by the port. It is a kind of a central stage where all the events take place. That is the heart of Mošćenička Draga, and with all the houses, wine cellars and terraces its oldest and the most beautiful part. 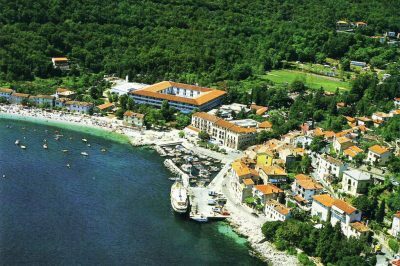 Moscenicka Draga is widely known for its beaches, which are considered to be the longest and the most beautiful on Opatija riviera. 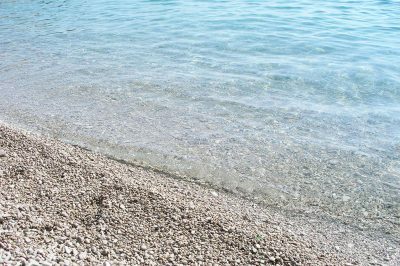 They are covered with the smooth, clean, white pebbles and the crystal clear sea that tempts you to find a refreshment in it. The shallow water is very suitable for non-swimmers and small children. Mošćenička Draga can offer you many other attractions. It is very happily situated – far enough from the crowd and still you have everything at your arm’s reach. No matter which destination you choose, nothing is too far. You can visit the Plitvice lakes in just one day. If you decide to visit the island of Cres, the ferry-boat in Brestova is only 10 km away, on the main road to Pula. Slovenia is also near. Border crossings Rupa and Pasjak on the Croatian-Slovenian border are less than 30 km away. And if you want to see the beautiful sights of Istria, you are already at its door. Mošćenička Draga is situated in the north-western part of Republic of Croatia, on the east coast of the colorful istrian peninsula. 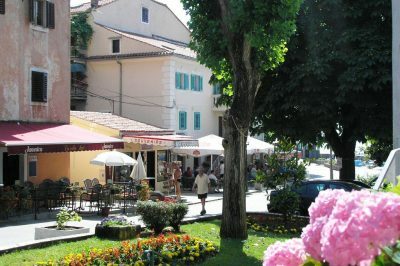 At the foot of the highest Istrian mountain – Učka (1394 m high), there are also other pituresque seaside resorts like Mošćenice, Medveja, Lovran, Ika and Ičići. 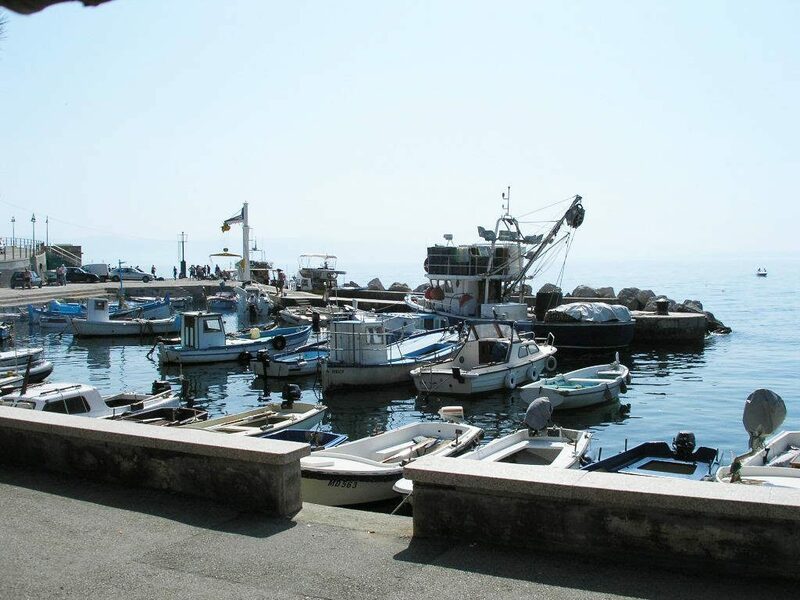 Approximately 10 km heading north, there is Opatija, a wellknown tourist and health center, and 30 km farther there is Rijeka, the biggest Croatian port and important trade center. Driving by the seatowards south, you will notice that the coast is much less inhabited, and therefore the nature is much better preserved. A winding road will lead you above the small, lovely inlets and hidden beaches and finally get you to the Plomin bay and further to Labin. 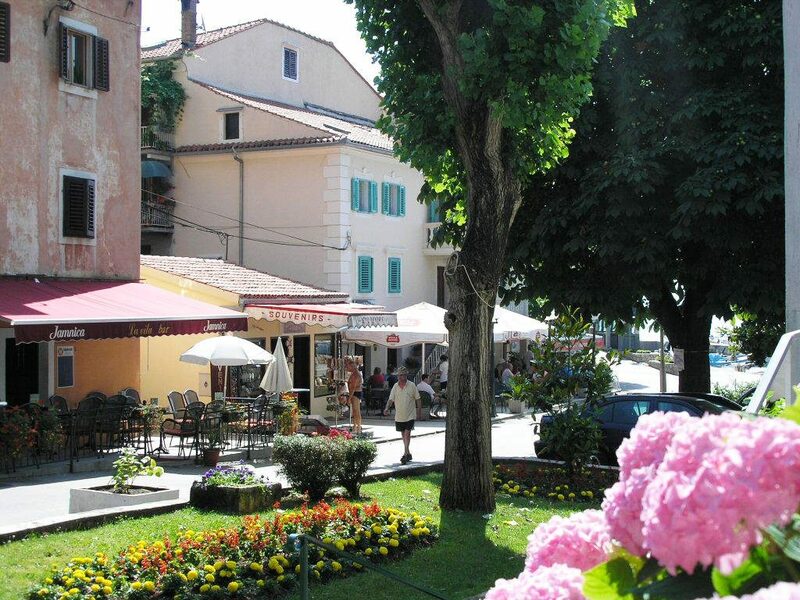 After enjoying 60 km of the beautiful Istrian coast you will find yourself on the outermost southern point of peninsula. There is situated Pula, the old roman city where you meet the remnants of the past on every step.